We have been working for some time to increase the reporting of hate crime, increase the resilliance of the community to recognise hate crime and cope with the impacts of it. 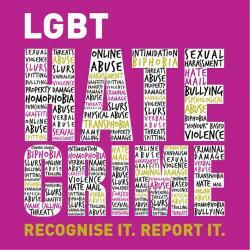 In 2015 we have formed a partnership lead by the LGBT Consortum with 31 organisations nationally to tackle hate crime. The project is funded by the Equality and Human Rights Commission.